Today, February 17, is your birthday. If you have not been disappeared, we should be celebrating your 65th birthday today, and you should be enjoying this day surrounded by your family and friends. Even though I don’t know where you are, I still want to send you all my love and prayers for a very happy birthday. Indeed, after your abduction, we tried to retrieve all the notebooks, and pieces of paper you have left in the PADETC office and at home, and we found that the termites did destroy quite a few of your files and papers. But there are still many files and folders that are quite intact. Dearest Sombath, we have kept what we could save from the termites and they all still awaiting your return. You have spent so many years working so closely with so many Lao communities, and you have gained so much knowledge and perspectives on so many aspects of development that I am sure you will have a lot to share on issues ranging from sustainable development, appropriate education, indigenous wisdom, and engaged buddhism. Your insights and vision would most certainly benefit many people in Laos, in and outside the development community. You will especially have a lot to share with the young people of Laos, who you truly love and care so much about. You have always involved the young people of Laos in all aspects of your work, as you feel that their engagement and their creativity and ideas are so necessary for the shaping of the country’s development. Sombath, so many young Lao people continue to remember you and wish that you will come back soon. Sombath, I hope that wherever you are, you will continue to use your wisdom and knowledge to benefit those around you. Knowing you, I truly believe that you will know how to survive and how to make the best of your situation. You have a great natural ability to work with people around you, and you are always able to bring out the best in people no matter who they are. So, my love, on this day, I wish you “Happy Birthday” and I pray that you are healthy and happy. I also pray that you will come back soon so that we can celebrate your next birthday together. Keep the termites at bay, keep the strengh to continue your letters to Sombath, and know that there are so many people who know you who are keeping faith with you. Many are sacrificing their intellect and their hard work for a better society founded on universal truth, yet they serve only for an agent of positive change. We look forward that these contributors of complementary if not supplemental wisdom and knowledge continue in the midst of the communities they are working. Settling down in the young generation for good. 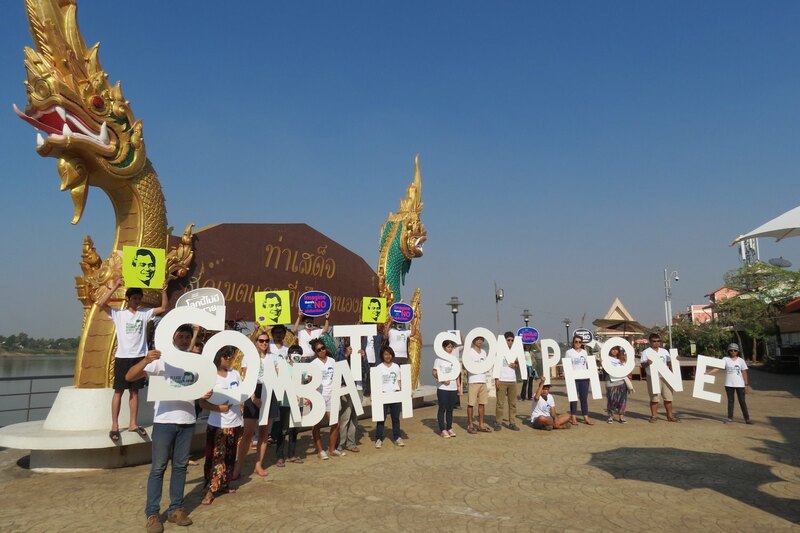 Sombath, wherever you are continue the good work! We shall strive for a more humane society for everyone of us. Dear fellows with the same degree of activity of Sombath are enjoined to live the expectations for a good society for everyone!